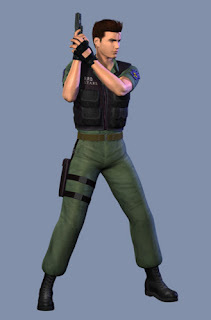 I know Chris Redfield is in the Resident Evil series but I don't know much else about him - not really my genre. Thankfully, he is making the jump to fighting games in next year's Marvel Versus Capcom 3. We don't have to wait until then to have a little fun given MUGEN. I tried out the MUGEN version in survival mode for some fun.